Your property demands a specific marketing concept. No experimentation. The strategy is to hit the target. This involves the compilation of exposés, making phone calls with offers to potential buyers from the data bank, regional and nationwide print advertising, presentation on the Team Rauscher website and in further Internet portals, trade fairs, sales charts, bulletin boards in banks, direct advertising (mail shots, community advertising etc. ), serial mailings to defined target groups, the utilisation of contact networks, financing consultations and credit assessment of interested parties, viewings with eligible interested parties, follow-up telephone calls, and much more. “We sell your property”: Available now here. The work of professionals – skilful negotiations and an assured completion. Allowing you to play it safe with your sale. With the Team Rauscher service guarantee, we have set a standard for absolute client orientation. Your receive the assurance of our 100% professional commitment. At no expense to you. This not only allows you to sell safely, but also without worry. Promises are made quickly. We provide a guarantee! Within the first four weeks from the assignment of the exclusive agency contract, we guarantee you at least five sales or marketing measures and, thereafter, to undertake all activities required for the sale. By way of confirmation, you will receive a written progress report every four weeks after the start of the contract. If – contrary to expectations – we fail to fulfil this, you are entitled to cancel the contract free of charge. 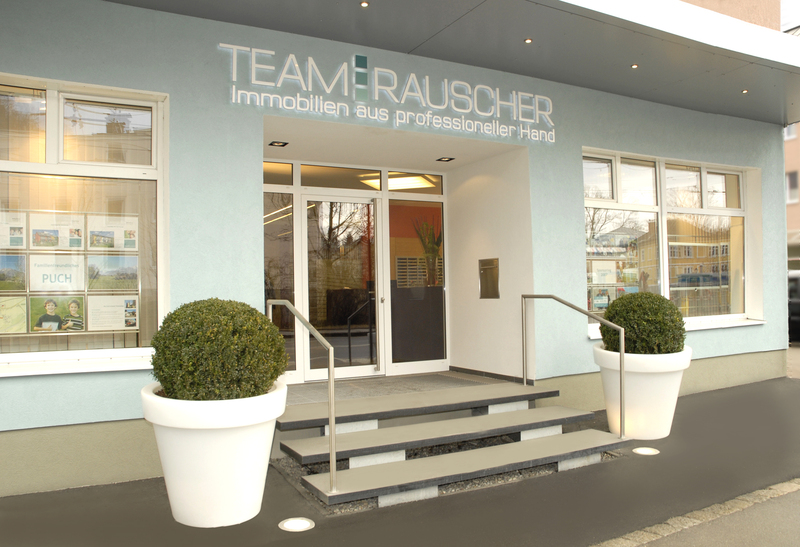 immobilien@team-rauscher.at. Or else let us know immediately for which property you would like to have a guarantee, under: My Property Offer. We will get back to you immediately.